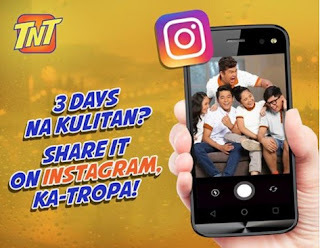 Access Instagram for only P10 pesos for 3 days! This is yet another pasabog of Talk N Text, dahil sulit na sulit ang mga promo offers. Using your internet outside Instagram or Instagram app will charge P5.00 per 15 minutes. To be safe, make sure you have 4 pesos or less load. Otherwise, download SMART powerapp and activate load protect. Unli Call and texts for 2 days with 50 texts to all networks.